Music Review: Billie Eilish - Spark Arena, April 2019. Music Watch: Billie Eilish gets a surprise on The Ellen Show. Music Billie Eilish performs 'bury a friend' on Jimmy Kimmel Live. Music Billie Eilish announces new tickets and a venue upgrade for upcoming NZ/AUS tour. 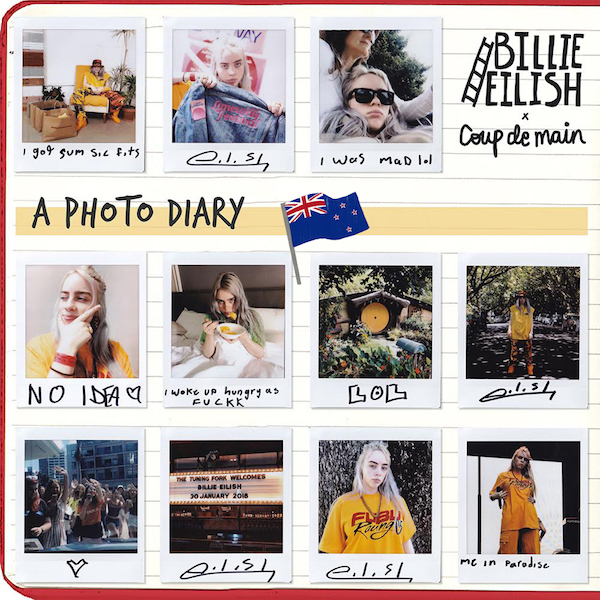 Music Billie Eilish - 'you should see me in a crown' music video. Music Dodie covers Billie Eilish’s ‘When The Party’s Over’. Music Billie Eilish gets fiery on 'Hot Ones'. Music Billie Eilish performs new song ‘wish you were gay’ in London. Music Watch: Billie Eilish x BBC Radio 1 live session at Maida Vale. Music Billie Eilish has performed new songs 'Bury A Friend' and 'When I Was Older' live. Music Listen to SWMRS cover Billie Eilish's 'My Boy'. Music Billie Eilish's album might be out in March? Music Listen: Billie Eilish's new song 'When I Was Older'. Music Billie Eilish - 'when the party's over' music video.